Have you seen misisng Artis? Police are appealing for help to find a missing 15-year-old boy who is believed to be in Peterborough. Artis Ozolins, 15, was last seen during the early hours of Wednesday 11 October by his family at their home address in Saxby Street, Leicester. He was reported missing on Friday 13 October after he failed to return home. It’s not unusual for Artis to go missing but police and his family are concerned about the length of time he has been missing on this occasion. 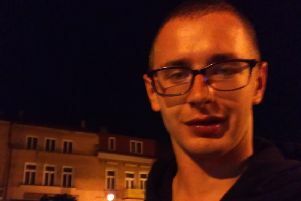 He is Latvian, of slim build, 4ft 12ins tall, with short light brown hair. He wears a stud earing and when last seen he may have been wearing a padded camouflage style jacket and grey jogging bottoms or jeans. Artis is known to visit the city centre and may possibly have travelled to Peterborough. Anyone who knows of his current whereabouts or has seen him since 11 October is asked to contact the police on 101.